Hornets: F Michael Kidd-Gilchrist was not with the team for the second straight game because of personal reasons. … Walker enters Wednesday’s game — perhaps the final one of his career with Charlotte — as the franchise leader in points and made 3-pointers, field goals and free throws. He’s second in assists behind Muggsy Bogues and third in games played behind Dell Curry and Bogues. 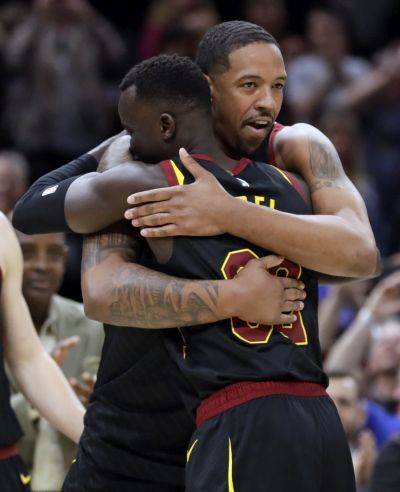 Cavaliers: Love played 13 minutes on Sunday as a salute to close friend Channing Frye, who is retiring after 13 seasons. Love was limited to just 22 games this season because of the toe and other injuries. He’ll consider playing this summer for Team USA. … Frye was given a rousing ovation when he checked in and a video tribute from former teammates was shown. Dwyane Wade said, “I thought you already retired.” Frye scored 10 in the fourth quarter. … Sexton scored in double figures in his final 23 games. He’s the first Cavs rookie to play all 82 games since Andre Miller in 1999-2000. … G Matthew Dellavedova missed the final 17 games with a concussion sustained on March 6 at Brooklyn.